It’s that time of year again, when you look back and how your last year went and plan to make the next year even better. 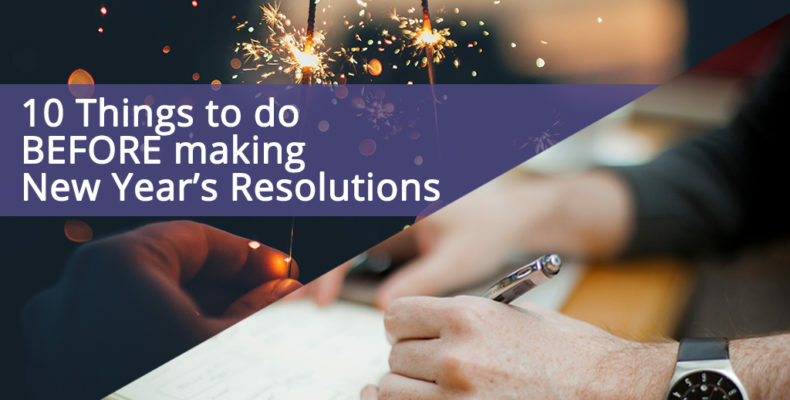 In order to set things off correctly, it pays to review your habits and efforts from last year before you step into planning next year and making resolutions. This annual self-analysis can be made by asking yourself the following questions, WRITING THEM DOWN, and by checking your answers with the help of someone who will not allow you to lie to yourself as to the accuracy of your self-analysis. Have I attained the goal which I established as my objective for this year? You should have a definite yearly objective to be attained as a part of your major life objective. How did you do on last year’s goal? Write it down and analyze that progress. Have I permitted the habit of PROCRASTINATION to decrease my efficiency, and if so, to what extent? We all know that “tomorrow never comes”, but how about “later” or “when I get my stuff together” or “when I feel better”. As you work on answering this question, check out my video on “Execution”. Have I been PERSISTENT in following my plans through to completion? Often we mistake “starting” new things with being persistent with one thing. Don’t confuse multiple starts of different things with being persistent in following your existent plans through to completion. Have I reached DECISIONS PROMPTLY AND DEFINITELY on all occasions? It’s been shown time and time again, that successful people are quick to make decisions, and slow to change those decisions. Trust your gut, make a prompt definite decision and keep it moving. Time is money. Review last year’s decision making before moving forward. These fears are common and most of us have them, but how much did they affect your progress last year and how will you plan to address it in the New Year. Have I dissipated any of my energy through lack of CONCENTRATION of effort? In other words, did I spread my effort to thin or across to many projects? Answer this question for last year, and plan for more focus if you fell short. Think “laser” instead of “flood-light”. Bullet instead of Buckshot. In what way have I improved my ability to render service? Did you, your product, or service get better throughout last year? Learn anything new? Become more effective or efficient? How much time have I devoted to UNPROFITABLE effort which I might have used to better advantage? I hate to shoot myself in the foot here, but how much time did you spend on Facebook vs your life goals? Game of Thrones, Video games, watching TV in general. BONUS – Am I in the right job, career, or business? and if not, why not? Now, after you have answered all of these questions…WRITE THEM DOWN SO THAT THEY ARE IN YOUR FACE!! You are ready to make some real New Year’s Reso…. PLANS. From me to you… Have a Great Year!